THIS IS FOR THE TEST ONLY. You can order the ebook from Cedar Fort (see link.) This course will explore the prevalence of children’s media use, many of the media effects that are of most concern to those interested in the well-being of youth, and the social scientific theories that explain how children’s brains cognitively and emotional process media content. 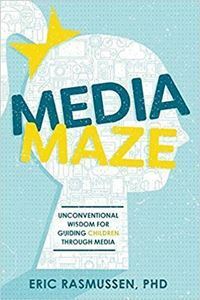 Finally, the course identifies specific strategies that can be taken to help youth avoid the potentially negative effects, and enjoy the potentially positive effects, of media exposure. This is the test and evaluation PDF file that goes with Sugar, Salt, & Fat, 2nd edition. It can only be purchased with the eBook. THIS IS FOR THE TEST ONLY. The e-book can be purchased from Cedar Fort (see link below). It is estimated that 1.4 billion adults—one in three across the globe—are overweight. Registered dietitian and health writer Clare Fleishman explores surprising new suspects contributing to our planet’s expanding girth, including air conditioning, drugs, pollution, and others which get little notice as lack of will power shoulders the blame. This important work examines how we live in a new century and why obesity has become a major killer from the American Midwest to the cities of Europe and across the deserts of Africa.